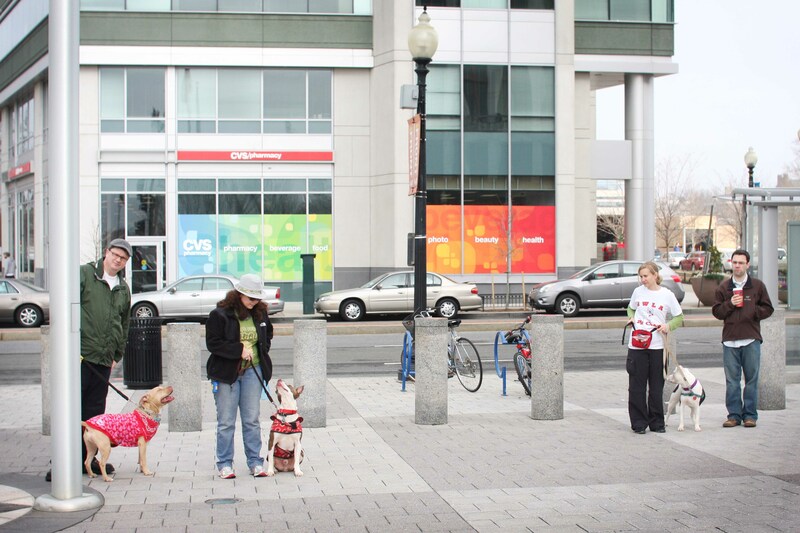 Downtown Dog Walk with the AWLA Pit Crew! If you don’t remember my feelings on structured group dog walks, let me remind you: I LOVE THEM. I also love when they’re in cool places with lots of cool people, which was exactly what happened on Saturday. 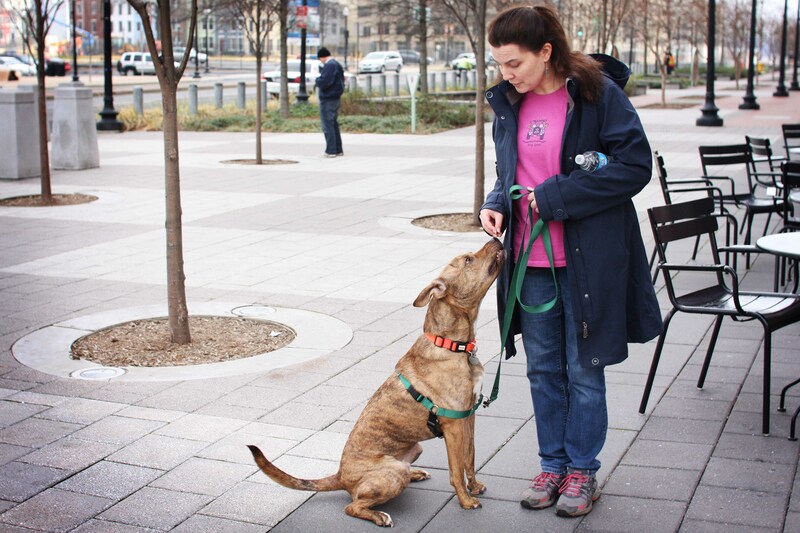 There are all sorts of fun events that brought Pittie Trails and the Animal Welfare League of Arlington’s Pit Crew together for a joint walk this weekend. Remember the handsome dog I transported up to Animal Farm Foundation with me back in September? His name was Gaston and he was from AWLA, so I started following their Pit Crew Facebook page a while back (I also just love shelters that have groups dedicated to helping their pitties!). Then I ran into one of their members at Bully Paws’ Pit Bull Awareness Day event, and we got to talking about our two dog walking groups. Fast forward a few months, and here we were doing a joint walk! 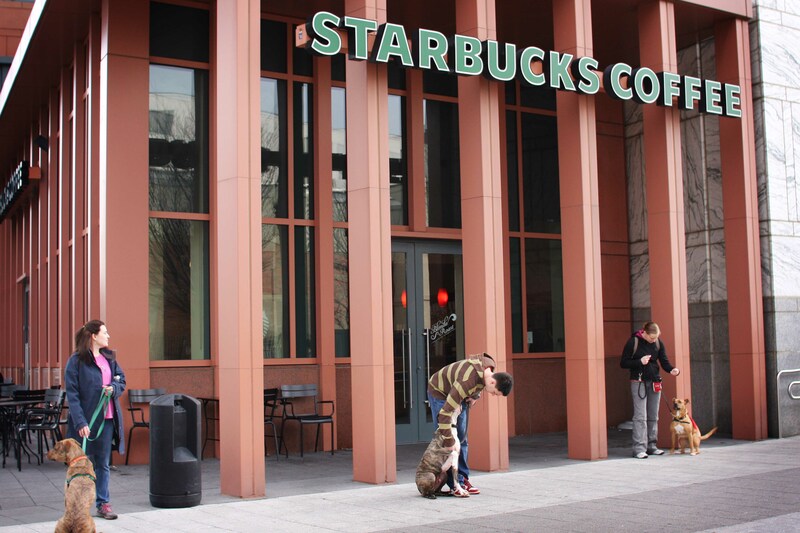 They decided on a spot downtown by the Washington Nationals stadium (ah, the perks of living in the nation’s capitol). 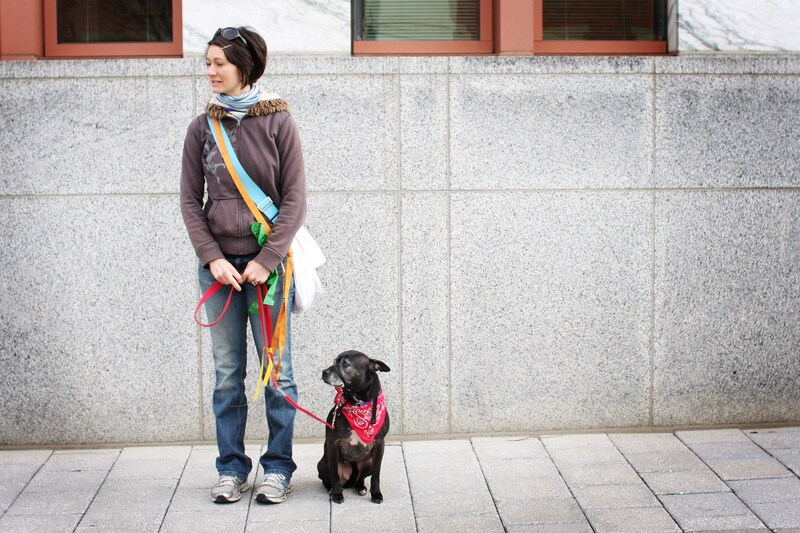 The AWLA Pit Crew has seriously got their act together for these walks, making sure that each dog has the best experience possible no matter what level of reactivity they are around other dogs. This particular walking spot was vetted for adequate space and safety from off-leash dogs (which are also intercepted by the dog-less walkers in the event that they do come across any). It is great that their walks are so structured, because sixteen dogs showed up for this one! We had a great time in the gorgeous uncharacteristically warm weather, and, as far as I know, had no major dog issues! 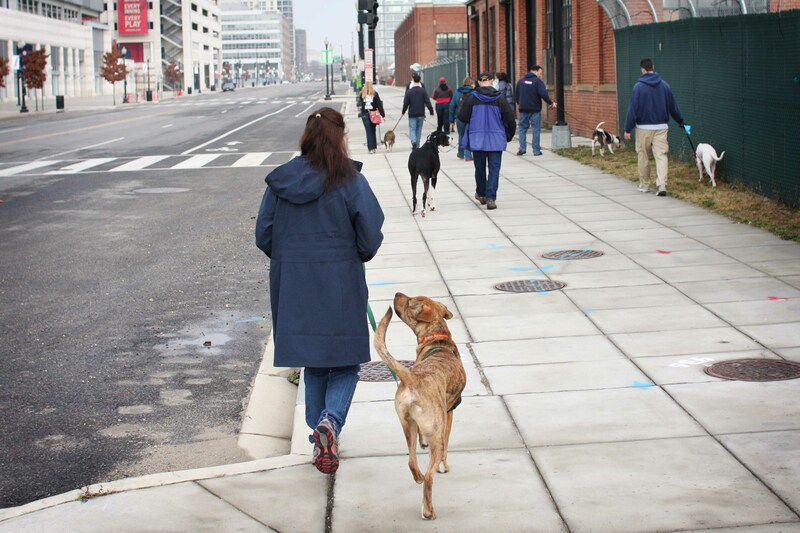 I highly recommend anyone interested in socializing their dog more in a safe, positive way sign up for these walks with the Pit Crew (oh, and it helps if you’re in the DC/MD/VA area – they generally stick to VA). You can email them at pitcrew@awla.org for more information about their walks and group in general. They also do fun human-only social outings, so it’s a great group to get involved in. 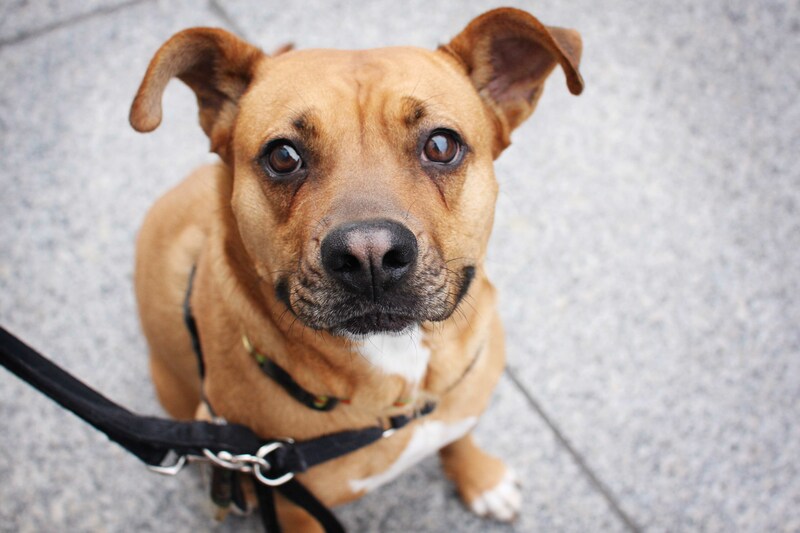 When I began writing this post, I gushed about the dog below, Willow, who is an adoptable pup from AWLA that joined us on the walk. Turns out she got adopted to her forever home on Monday! Yay Willow! 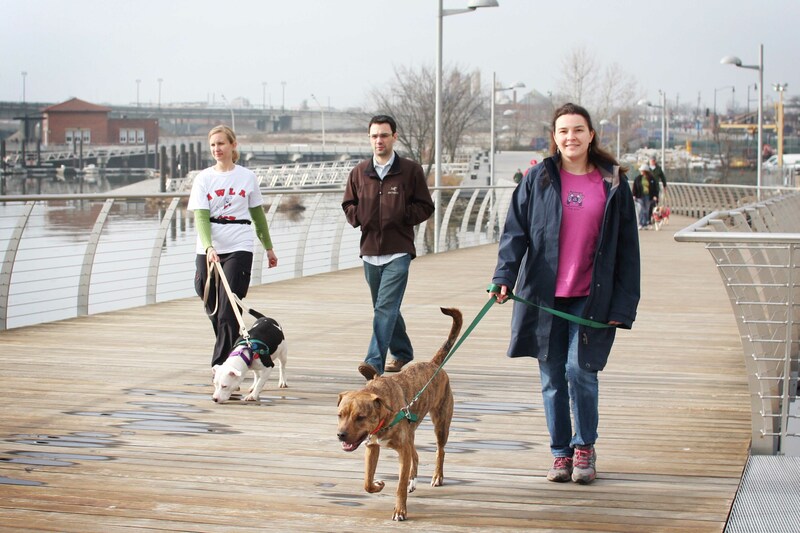 Remember, if you want to join the walking group, email pitcrew@awla.org. Hope to see you at the next one! 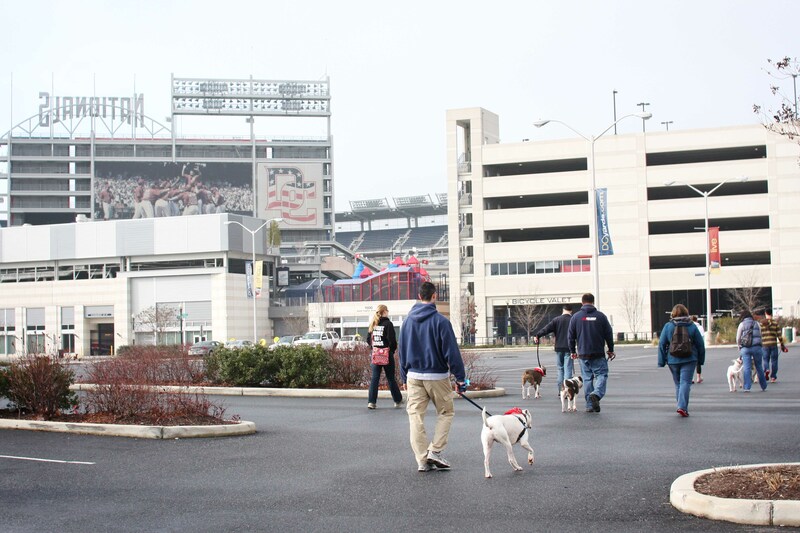 This entry was posted in Dog talk, Former Fosters, Pittie Trails, Rescue/Humane Society, Uncategorized and tagged adoptable dogs, Animal Welfare League of Arlington, AWLA Pit Crew, DC, dog walking group, group dog walks, Nationals Stadium, Pittie Trails, socialization, training dog walk. Bookmark the permalink. Great pics and wonderful news about Willow – what a beauty! 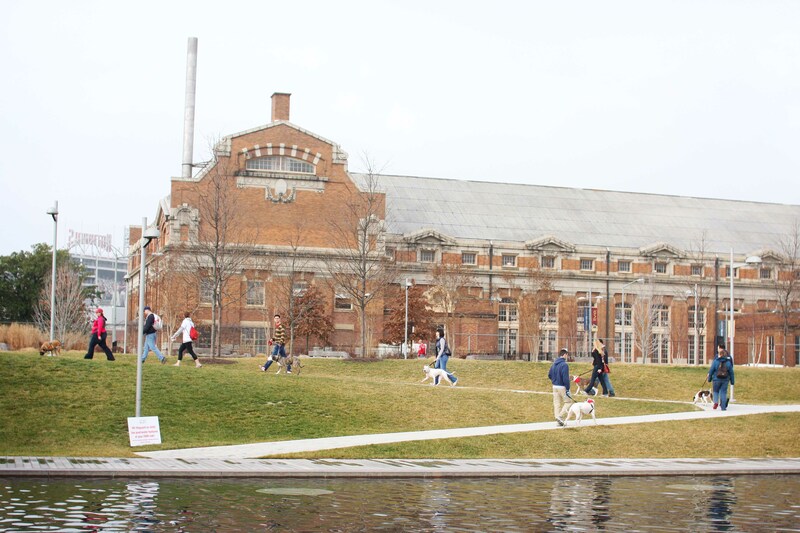 It’s so great seeing so many well-structured walking groups. And great photos! 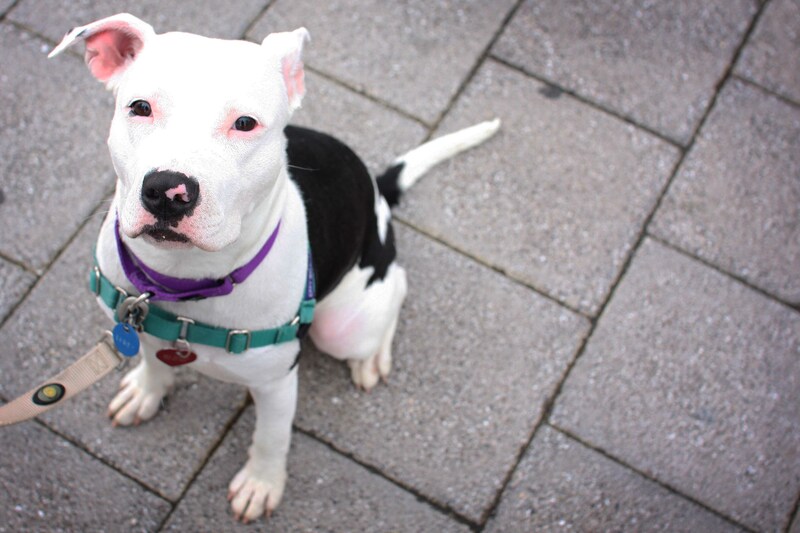 I’m super jealous…we can’t seem to find a pittie walking group in the LA area which is just CRAZY to me! I’ve toyed with starting one but I know how much work it really takes. Looks like an awesome group! 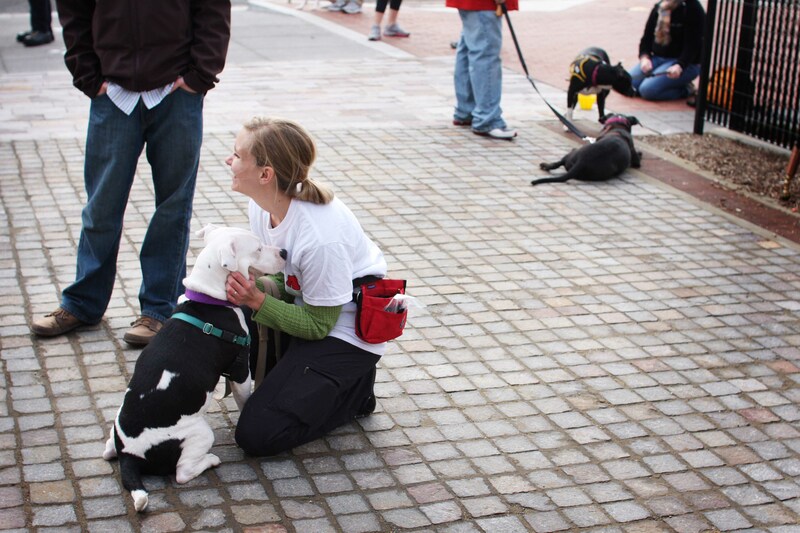 It was great joining forces with Pittie Trails! Thank you. I hope we will get to join up again for a walk in the future. Wonderful to see you again, J. Awesome pics and thanks for the shout-out! Btw, Otis is every bit as cute in person as he is in your photos — loved him!